This full body puppet is made by the Puppet company and measures 33cm x 18cm x 12cm. His stripy fur is just waiting to be stroked. 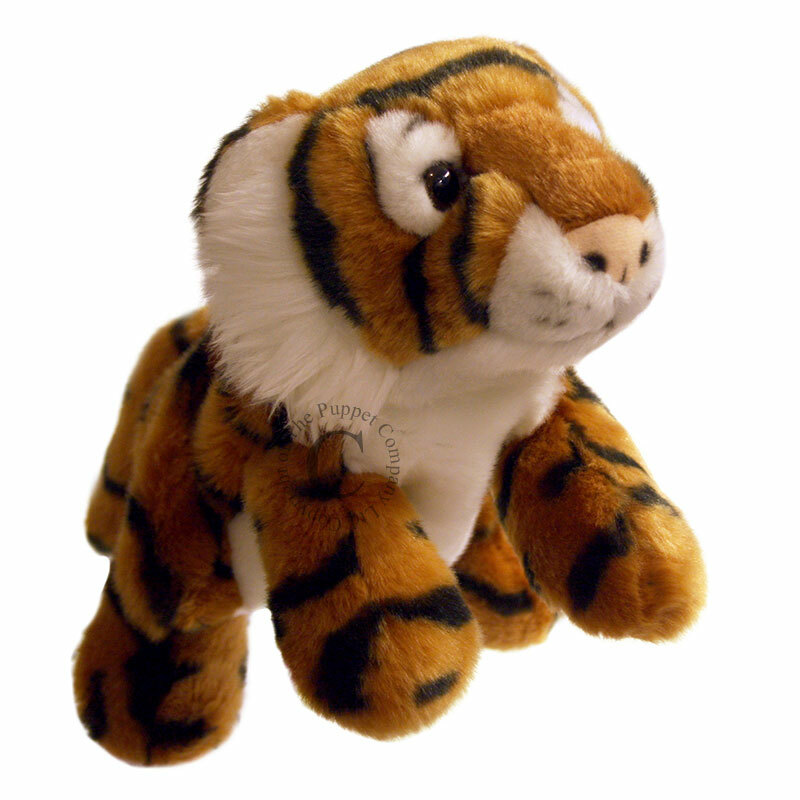 Your hand will reach into his head and front legs to bring him to life, watch out for a tiger on the loose!